In this Semester they will be working hard on getting all the knowledge and skills that they need for their Theater Performance VII annual DANCESANITY STARS at the Tony Bennett Concert Hall. Which according to our founder and Broadway Dancer is as beautiful as the theaters on Broadway. Definitely an opportunity you don't want to miss. this semester often offers Photo shoots opportunities, Video shoots, Dance Parties, Performances & more. REGISTER NOW FOR THE NEW SEMESTER! Hosting a birthday party for your child can be a “piece of cake” with our birthday party packages. In this programs three to eight year-old boys and girls develop their minds and bodies through fun classes and exercises. These classes lay the groundwork for proper dance technique. We suggest at least one Pre-Ballet class a week for students to properly develop body awareness and control. We also encourage selecting at least two other dance styles to maximize their experience, like Pre-Jazz, Pre-Hiphop, Pre-Salsa & Musical Theater. These classes will help them explore their own creativity and develop an understanding of the connection between dance, rhythm and music. This Programs were created specifically for children & teens who love to dance between the ages of 7-12 years old & Teenagers, to Learn the fundamentals of Dance, strengthen their bodies, achieve expressive performance quality and Showcase Performances of all styles like Ballet, Jazz, Contemporary, Hip-hop, Salsa, Break Dance, Freestyle, Latin Rhythms, Musical Theater & much more. 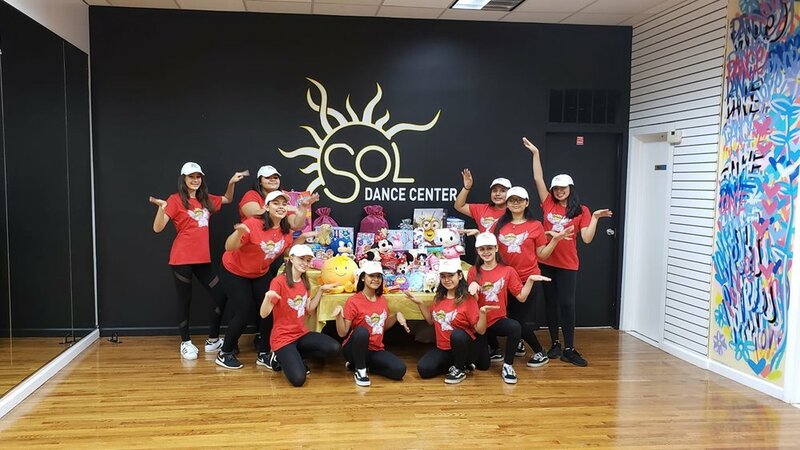 At Sol Dance Center we Provide fun, exciting, and energetic classes that focus on developing coordination, body awareness, correct posture, increase flexibility, gain strength and learn dance vocabulary, our classes will encourage students to bring their individuality and unique personality to the class. This environment allows young dancers to gain confidence and build self-esteem. Dancesanity Stars Competition Results! ✨⭐️💫🌟! Thank you to our professional dancers! Thank you to our DJ De La Rouge! Thank you to our photographers JBIH Photography!